Continuation of the series that began here. Getting past my brother’s interview process and meeting the owner made for quite the experience, and contrast. At least with my brother, he was a known commodity. Familia — for better or worse. On the other hand the proprietor, he was an eye-opener. When introduced to him by my sibling, I immediately felt sized up and grouped into one of two categories. Those like him, and everybody else. Those like him were the self-made businessmen who started out with little or nothing and worked/scraped at whatever business secured them a living. He believed it was achieved through his own energy and pure ambition. Everyone else was just that. Everyone else. From the time of that first interview, till I left a year and a half later, success in life was defined through hard work. It was not just an expression for him, he felt. An opinion he freely shared…always. I could see why my brother had a sub-rosa admiration for the man — his success seemed to stem from that drive to succeed. Those in college, studying, were another matter for this business owner, though. Professional students, as he called them, were “…wasting their time studying.” Better off getting to work, “…like your brother, here”, was his steadfast opinion. I’d be allowed to bring my college work into the theater, he said, as long as it didn’t get in the way of what needed to get done. Given the unique aspect of the projectionist’s work, at least under this regime, it could work. But I would to be good-naturedly chided for it, most of the time. Nonetheless, I would be indoctrinated on how ‘real businessmen’ made a dollar in the world back then. The owner said he was used to making hard choices. And without the scale or margins of a large theater chain behind him, he got to make a lot of them. So, what were the lessons gleamed while employed there? Scrimping was a way of life for independents. The economics of the movie theater in the mid-70s hadn’t changed much since the 30s and 40s either. 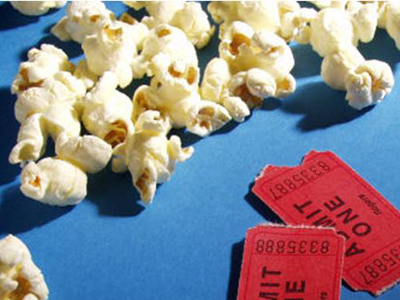 Studios made their money from the box office — and theater owners made theirs from the concession stand. What did this mean for the education of the new projectionist they just hired? Well, you found out very quickly that owning a movie theater was difficult and risky work. For mom’s youngest, my brother, the owner proved to be quite the mentor (whether either of them knew it or not). My sibling learned it so well that he’d take what he picked up here to his own business, years later. As for this college student, I, for damn sure, made it very clear to the concessionista to put a fresh wiener in the bun whenever I ordered hot dog at work! 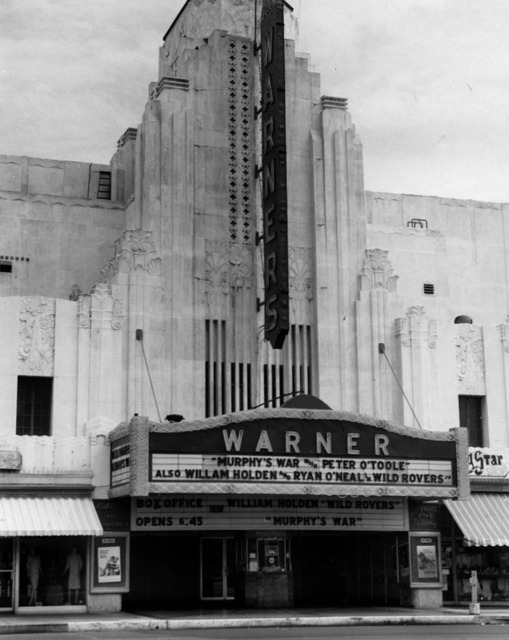 The entire Warner Theatre Project series can be found here. Yes, margins for indy theaters continue to be razor-thin. Let’s hope most today draw the line on the reuse of old food stuff ;-). You have such great ideas, Paula! Many thanks. Yes, I stopped ordering things like hot dogs at movie theaters around this same time. Thanks so much for your readership, Fogs :-). Really digging this series, Michael. Great reads as always! I really appreciate the kind words, Eric. Thanks for the read and comment, my friend. Great little post. Love reading these.